To make Alexa work with Apple’s streaming service, you should just have to jump into the newly updated iOS/Android Alexa app and link up your account. You can find the option under Settings > Music. Once done, commands like “Alexa, play music by Halsey on Apple Music” should work. Or, if you don’t want to have to say the “… on Apple Music” bit every time, you can just set Apple Music as the default service. If you don’t have a specific artist in mind, you an also request playlists or genres. One catch: as 9to5mac points out, it appears this currently only works with Amazon Echo speakers, and not yet with third-party speakers (like the Sonos ONE or Polk’s Audio Command sounder) that happen to have Alexa-support built in. Not a fan of Apple’s offering? Alexa also works with Spotify, Pandora, Tidal, Deezer and Amazon’s own Music service. Using Google devices, rather than Amazon’s? Alas, still no word on if/when proper Apple Music support might come to Google Home. In addition to that, Apple acquired Texture back in March. Texture lets you download and read dozens of magazines with a single subscription. The company has partnered with Condé Nast, Hearst, Meredith, News Corp., Rogers Communications and Time Inc. to access their catalog of magazines. Sonos has always gone its own way. The speaker manufacturer dedicated itself to network-connected speakers before there were home networks and they sold a tablet-like remote control before there were tablets. Their surround sound systems install quickly and run seamlessly. You can buy a few speakers, tap a few buttons and have 5.1 sound in less time than it takes to pull a traditional home audio system out of its shipping box. 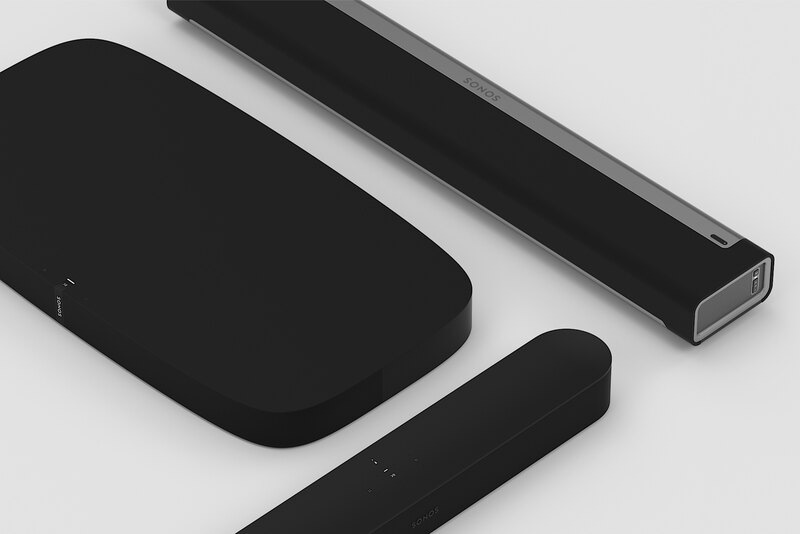 This latest model is an addition to the Sonos line and is sold alongside the Playbase — a lumpen soundbar designed to sit directly underneath TVs not attached to the wall — and the Playbar, a traditionally styled soundbar that preceded the Beam. Both products had all of the Sonos highlights — great sound, amazing interfaces and easy setup — but the Base had too much surface area for more elegant installations and the Bar was too long while still sporting an aesthetic that harkened back to 2008 Crutchfield catalogs. The $399 Beam is Sonos’ answer to that, and it is more than just a pretty box. The speaker includes Alexa — and promises Google Assistant support — and it improves your TV sound immensely. Designed as an add-on to your current TV, it can stand alone or connect with the Sonos subwoofer and a few satellite surround speakers for a true surround sound experience. It truly shines alone, however, thanks to its small size and more than acceptable audio range. To use the Beam you bring up an iOS or Android app to display your Spotify, Apple Music, Amazon and Pandora accounts (this is a small sampling; Sonos supports more). You select a song or playlist and start listening. Then, when you want to watch TV, the speaker automatically flips to TV mode — including speech enhancement features that actually work — when the TV is turned on. An included tuning system turns your phone into a scanner that improves the room audio automatically. The range is limited by the Beam’s size and shape and there is very little natural bass coming out of this thing. However, in terms of range, the Beam is just fine. It can play an action movie with a bit of thump and then go on to play some light jazz or pop. I’ve had some surprisingly revelatory sessions with the Beam when listening to classic rock and more modern fare and it’s very usable as a home audio center. The Beam is two feet long and three inches tall. It comes in black or white and is very unobtrusive in any home theater setup. 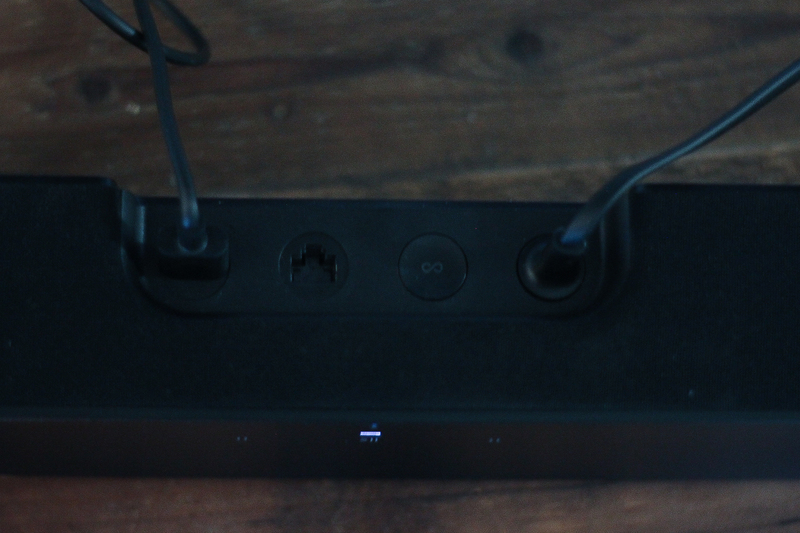 Interestingly, the product supports HDMI-ARC aka HDMI Audio Return Channel. This standard, introduced in TVs made in the past five years, allows the TV to automatically output audio and manage volume controls via a single HDMI cable. What this means, however, is you’re going to have a bad time if you don’t have HDMI-ARC. Sonos includes an adapter that can also accept optical audio output, but setup requires you to turn off your TV speakers and route all the sound to the optical out. This is a bit of a mess, and if you don’t have either of those outputs — HDMI-ARC or optical — then you’re probably in need of a new TV. That said, HDMI-ARC is a bit jarring for first timers, but Sonos is sure that enough TVs support it that they can use it instead of optical-only. The Beam doesn’t compete directly with other “smart” speakers like the HomePod. It is very specifically a consumer electronics device, even though it supports AirPlay 2 and Alexa. Sonos makes speakers, and good ones at that, and that goal has always been front and center. While other speakers may offer a more fully featured sound in a much smaller package, the Beam offers both great TV audio and great music playback for less than any other higher end soundbar. Whole room audio does get expensive — about $1,200 for a Sub and two satellites — but you can simply add on pieces as you go. One thing, however, is clear: Sonos has always been the best wireless speaker for the money and the Beam is another win for the scrappy and innovative speaker company.